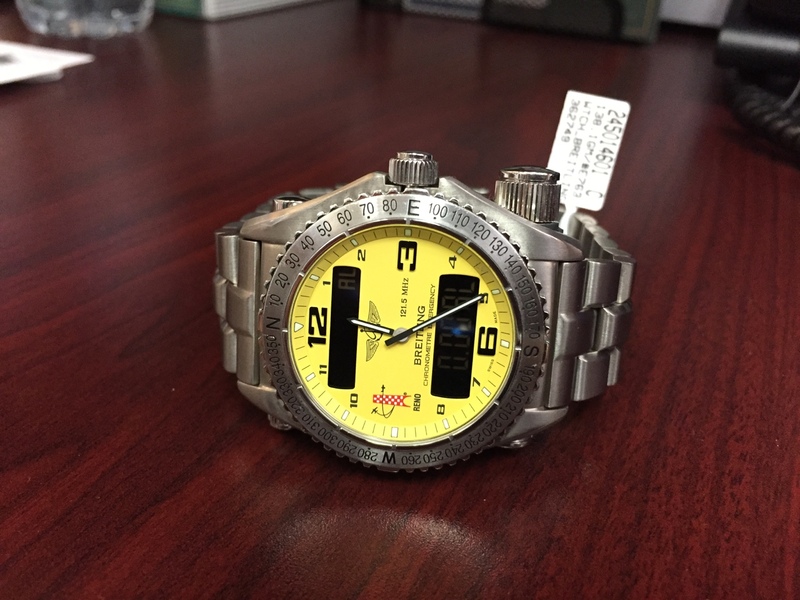 For this Deal of the Week, we are selling a handsome Breitiling Emergency Superquartz in very good condition. The Emergency has a built-in micro-transmitter broadcasting on the 121.5 MHz aircraft emergency frequency and is designed to complement the distress signalling equipment of any aircraft. Following a crash the Emergency will broadcast a signal on which rescuers can home in. The transmitter is activated by unscrewing a protective cap and pulling the antenna out fully. The watch is made from titanium and comes with the original protective pouch. 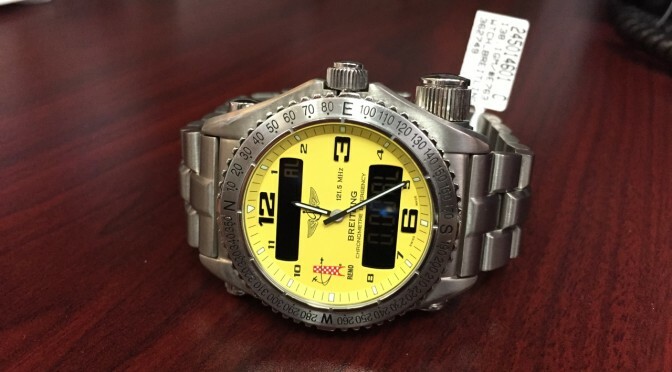 This watch retails for $6,710.